Here we are providing the all side effects of smoking, To know the everything about smoking you can read the whole article in this article we provided all the details regarding the smoking disease.. Smoking is Harmful for your health.Smoking is the inhalation of the smoke of burning tobacco encased in cigarettes, pipes, and cigars. Casual smoking is the act of smoking only occasionally, usually in a social situation or to relieve stress. A smoking habit is a physical addiction to tobacco products. difficulty or pain on swallowing. Smoking damages your heart and your blood circulation, increasing the risk of conditions such as heart disease, heart attack, damaged blood vessels etc.The chemicals in tobacco smoke harm your blood cells. They also can damage the function of your heart and the structure and function of your blood vessels. This damage increases your risk of atherosclerosis. If you smoke, you are more likely to have a stroke than someone who doesn't smoke.In fact, smoking increases your risk of having a stroke by at least 50%, which can cause brain damage and death. And, by smoking, you double your risk of dying from a stroke. One way that smoking can increase your risk of a stroke is by increasing your chances of developing a brain aneurysm. This is a bulge in a blood vessel caused by a weakness in the blood vessel wall. Smoking prematurely ages your skin by between 10 and 20 years, and makes it three times more likely you'll get facial wrinkling, particularly around the eyes and mouth. Smoking can cause your bones to become weak and brittle. Women need to be especially careful as they are more likely to suffer from brittle bones (osteoporosis) than non-smokers. The most serious damage smoking causes in your mouth and throat is an increased risk of cancer in your lips, tongue, throat, voice box and gullet (oesophagus). 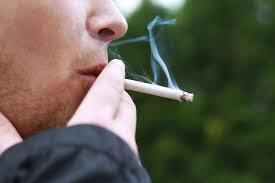 More than 93% of oropharangeal cancers (cancer in part of the throat) are caused by smoking. Smoking can cause lung disease by damaging your airways and the small air sacs (alveoli) found in your lungs. 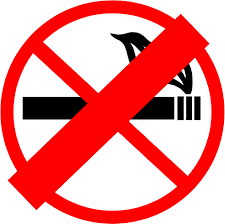 Lung diseases caused by smoking include COPD, which includes emphysema and chronic bronchitis. Cigarette smoking causes most cases of lung cancer. We all know the health risks of smoking, but that doesn’t make it any easier to kick the habit. Whether you’re a teen smoker or a lifetime pack-a-day smoker, quitting can be really tough.To successfully quit smoking, you’ll need to not only change your behavior and cope with nicotine withdrawal symptoms, but also find healthier ways to manage your moods. With the right game plan, though, you can break the addiction and join the millions of people who’ve kicked the habit for good. Write all your reasons for quitting on an index card. Keep a list of when you smoke for a week before quitting.